Having problems transferring combo packs or Gaylord bins? The struggle is over! Transfer pallets containing 3000+ lbs loads, delicate contents, challenging packaging or case configurations - All in less than 90 seconds! New operator training in just 60 minutes! transfer heavy loads or delicate product? easily handle difficult load configurations? exchange pallets in less than 90 seconds? control your pallet usage loop? 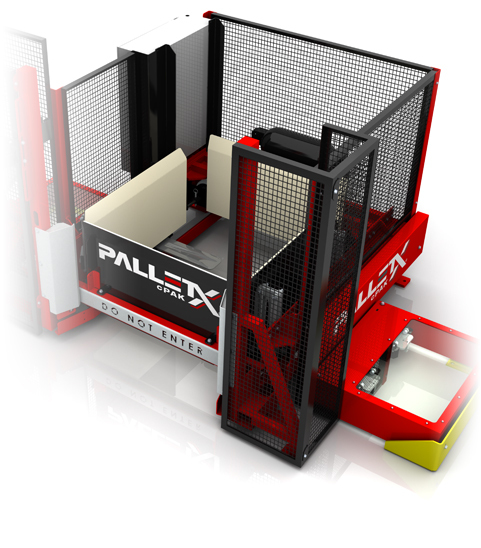 With PalletX cPAK, now you can!